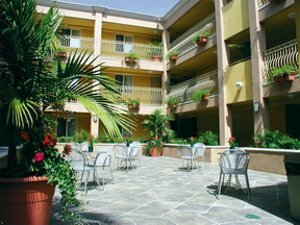 Hawthorn Suites by Wyndham Manhattan Beach constitute an exquisite extended stay hotel tucked away in the scenic Manhattan Beach of California. The convenient location of the suites, just 7 kilometers from Los Angeles International Airport (LAX) makes this a perfect destination for guests arriving from other states and nations. For more details on arrival, use the address: 1817 N Sepulveda Blvd, Manhattan Beach, California, 90266, USA. The plethora of attractions that welcomes you to Hawthorn Suites makes for a pretty interesting itinerary. Kick start your vacation with a visit to the Redondo Beach Performing Arts Center, a 20-minute drive. This visit is totally worth it because not only will you get to see Redondo’s creative side, it will also cause you to have an appreciation for the vibrant arts and culture in the region. The LA Air Force Base 2 miles away, is perfect for you to enjoy a military-inspired tour. If you have older kids, they will be fascinated during this tour. Sports lovers will be enthralled by the experience at the LA Memorial Sports Arena. As dusk falls, party lovers will enjoy visiting the Normandie Casino and playing poker at the aptly named Hustler Casino. The Petersen Automotive Museum is a fascinating attraction that welcomes all car-lovers to view classics and marvel at the various futuristic concepts that exist. Other nearby attractions include the Saban Theatre and Wadsworth Theatre for an array of theatrical works, the Lighthouse Café for excellent musical performances and the Pier. There is no better way to rest after a day’s thrilling tours than by retiring to the plush rooms that Hawthorn Suites by Wyndham Manhattan Beach boasts of. The rooms are divided into two: expansive studios and contemporary one-bedroomed suites. The choice of accommodation is largely influenced by the persons travelling, with the suites working well for travelling groups. The rooms are all non-smoking. This is not all as every suite at Hawthorn is fitted with a sofa-bed, microwave, a fridge and a flat screen TV to catch up with the latest news and your favorite movies. After a good night’s sleep, wake up to sumptuous breakfast buffet while perusing through the dailies provided at no extra cost. You can then head out to the fitness centre for a refreshing gym session before going to the business centre where you can link up with your business partners. There are two meeting rooms at the convenience of corporate travellers who would love to host their partners for an array of sessions. Free Wi-Fi available offers you a priceless way to get in touch with your friends and loved ones even when miles away. Of all the amenities provided for by Hawthorn Suites, the provision of laundry facilities makes a big difference for extended stay guests as it allows them to focus on what really matters – and that is enjoying their stay true to Manhattan’s unmistakable aura. Make your reservations at Hawthorn Suites by Wyndham Manhattan Beach to enjoy this and much more. This appealing destination is one of the reasons why fashionable Manhattan is a must-visit.